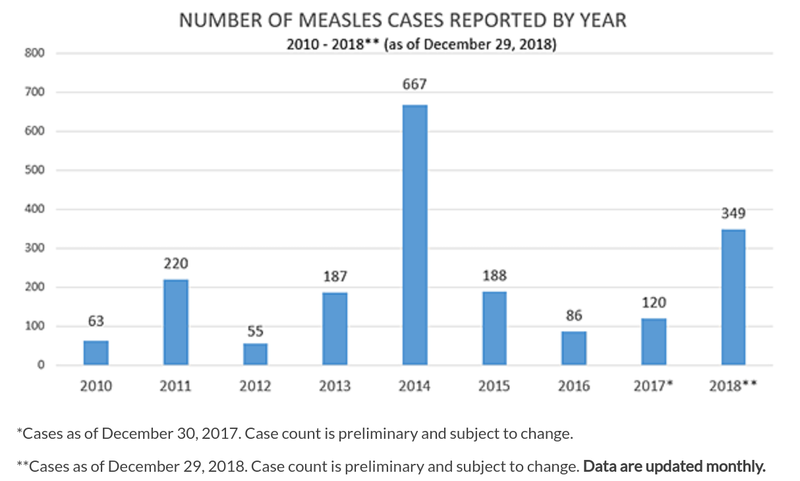 An estimated 110,000 deaths due to measles outbreaks occurred globally in 2017, a dramatic increase compared to previous years. Experts attribute these breakouts to the gaps in vaccine coverage, with reported measles cases increasing by more than 30 percent worldwide from 2016. Measles is incredibly contagious, spread through the air after an infected individual coughs or sneezes. Symptoms begin with high fever, a cough, runny nose, and red, watery eyes. Only a couple days after the onset of the first symptoms, tiny white spots called Koplik spots may appear inside the mouth. Soon after, a rash typically appears over the body, beginning on the head and continuing downward. Occasionally, this rash is accompanied by small, raised bumps on the skin. Left untreated, measles can cause significant complications, including encephalitis (an infection that leads to swelling of the brain), diarrhea, dehydration, pneumonia, ear infections, and even permanent vision loss. The spread of the measles virus can be prevented with the MMR vaccine, which protects against three diseases: measles, mumps, and rubella. 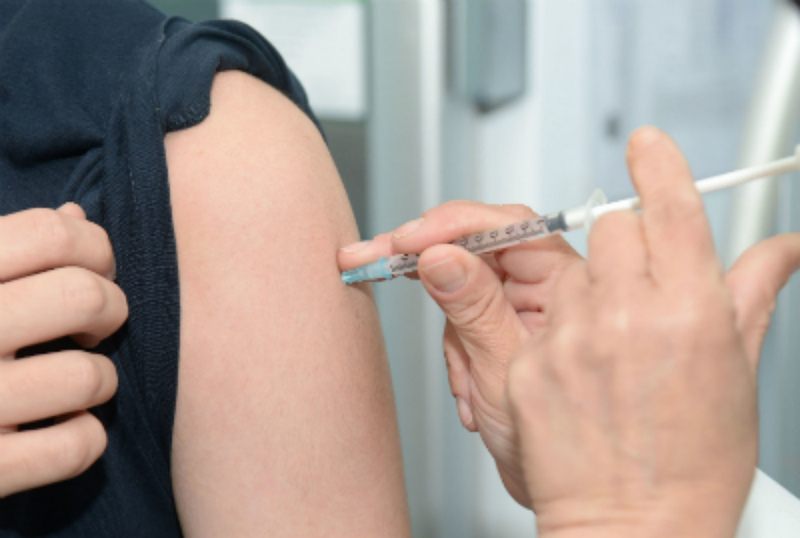 The Centers for Disease Control and Prevention (CDC) states that the vaccine is both safe and effective, as two doses of MMR vaccine are about 97 percent effective at preventing measles and just one dose is about 93 percent effective. The first dose is designed to be taken at 12 to 15 months of age, and the second dose at 4 to 6 years of age. Data shows that receiving vaccinations on schedules can be effective but there are growing concerns over the potential issues that can arise from vaccinations in children. These concerns are no doubt a major factor and effect the global vaccination rate amongst children. Many parents believe that their children can develop autism or have a reaction to a vaccination as mentioned in "Deciding not to give my child MMR." Whats important through this process is to make sure when deciding to vaccinate is to make sure you are using good scientific data and not a random media or online publication to make your determinations. For the most part the right to vaccinate should be the responsibility of the parents to choose and its important that there is sufficient information available to for these parents to make a decision.